IntelliSoft Procurement is a full Procurement Process Automation System that helps Procurement officiers and managers, to monitor their operations and budget along with their Suppliers performance. Besides providing automation of the Procurement process, the system offers powerful tools to manage all aspects related to the process such as Suppliers, Suppliers Contracts, Pricing, Budget, Procurement Orders and Purchasing activities, making the application an efficient tool for the procurement management. A successful purchasing policy requires accurate supplier information telling you which supplier can offer the products needed with the correct specifications and against what terms. All the information required should allow your purchasing decisions to be based on the correct information. Long-term relationships with suppliers require a flexible and efficient purchase procedure. Adequate handling of open deliveries is required to warrant timely delivery. IntelliSoft Procurement will, for example, enable you to track your Purchase Orders and monitor the activities of suppliers who regularly deviate from agreed-on delivery times. 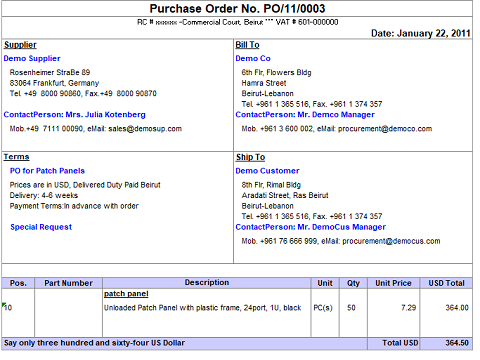 Purchase orders can be generated from a purchase quotation, another purchase order, or can be entered manually. Data from the Supplier Information System and the Supplier Contracts is used to determine under what conditions the items are purchased. 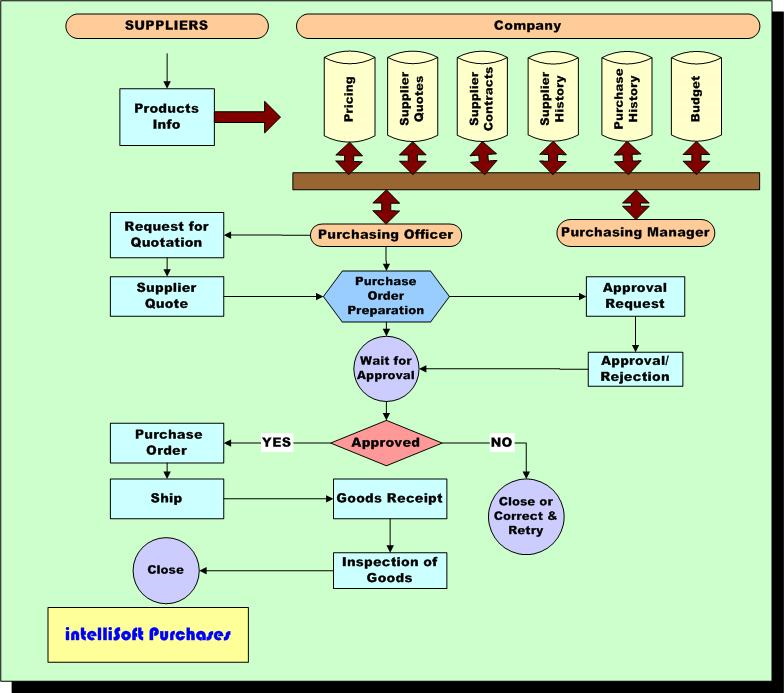 IntelliSoft Procurement offers an efficient Purchasing control system within The Purchasing Department. A PO will not be released by the system without being electronically stamped by an approval from the right authority. Approval is controlled by a flexible system using a set of user-defined criteria such as supplier, system user, product type and budget. IntelliSoft Procurement offers a budget module where purchasing amounts are monitored within budget set. Intellisoft Procurement provides the users with comprehensive reports and statistics that cover the entire purchasing cycle. IntelliSoft Procurement maintains historical information which allows you to keep a record of all relevant experiences, (including products and pricing) with suppliers and continually monitor the suppliers' reliability and offering. This will make it easier to select the right candidate for long-term cooperation.